In this section, we will implement the "Review Order" form by reusing the "CustomerDetails", "OrderDetails" and "ProductOrders" forms. Create a new "Review Order" form. Click on the forms widget. List of forms designed for "CustomerOrders" data model wlll be displayed. Click on the "CustomerDetails" form. 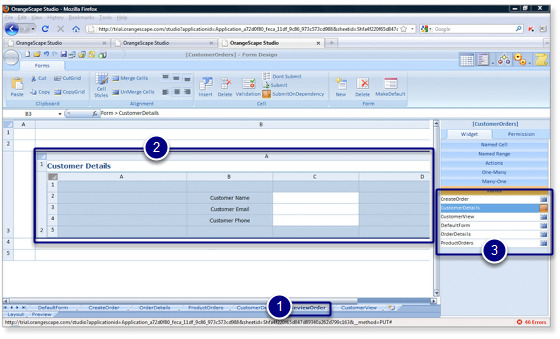 The customer details form will be inserted in the selected cell. 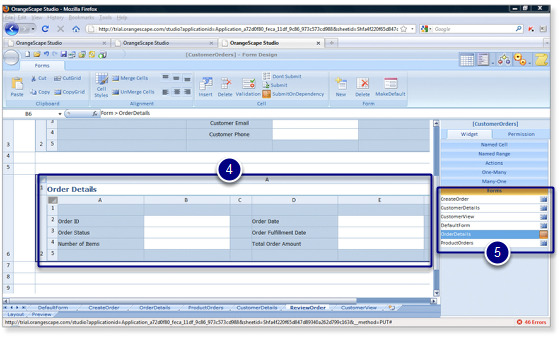 Select the cell where the order details form is to be inserted and click on the forms widget. Click on the "OrderDetails" form. The order details form will be inserted in the selected cell. 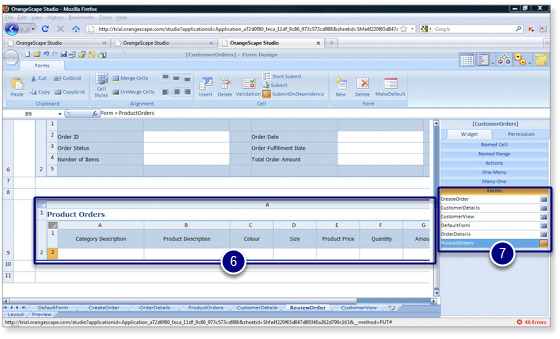 Select the cell where the product orders form is to be inserted and click on the forms widget. Click on the "ProductOrders" form. The product orders form will be inserted in the selected cell.